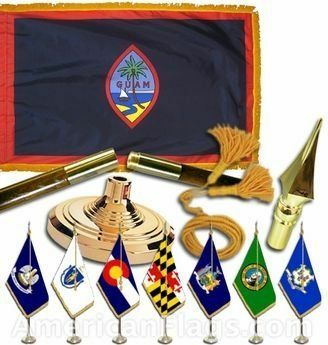 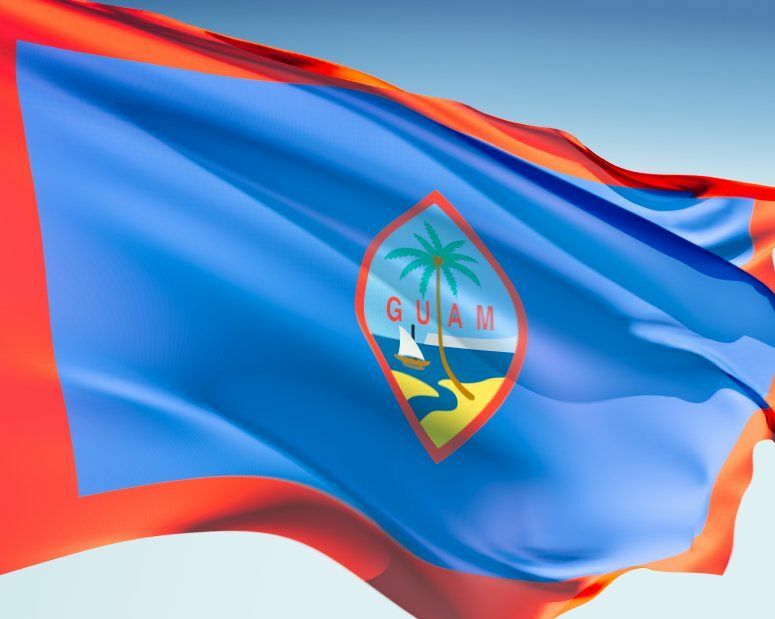 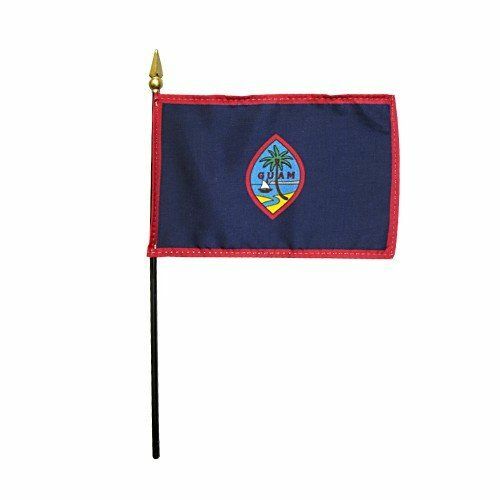 AmericanFlags.com is proud to carry Guam Flags in a variety of materials, and styles, in sizes ranging from 4 IN X 6 IN to 12 FT X 18 FT. All of our Guam flags meet official specifications, are on sale right now and are ready for immediate shipping to your door. 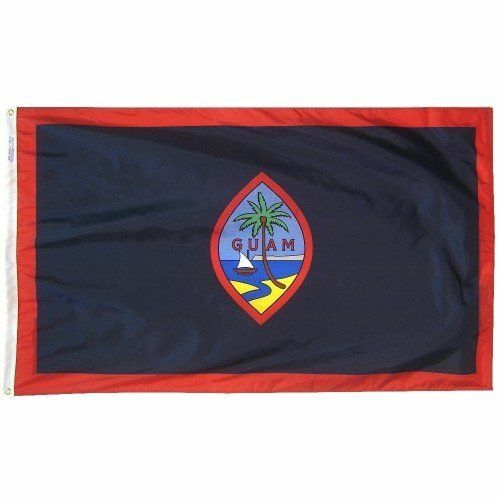 Featuring the image of an ocean scene, the Guam flag boasts a dark blue background with a narrow red border. 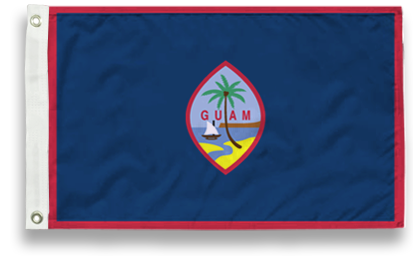 An outrigger canoe with a sail, a palm tree and the name of the territory are contained within a vertical ellipse centered on the flag.